Sea Life, the chain of aquatic attraction centres from Merlin Entertainments, boasts over 50 global sites. In order to communicate effectively with their local audiences in these locations, they needed a brilliant and reliable transcreation partner. 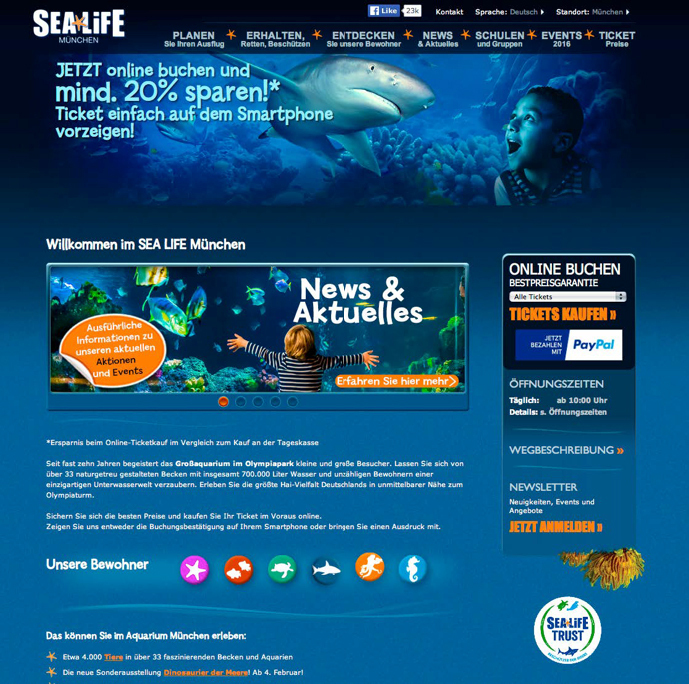 Sea Life reached out to the Language and Culture team at Loveurope and Partners (LEAP) to provide a centralised transcreation resource for the international adaptation of the Sea Life global website, covering 13 major languages. The average word count across the sites ranged from 3,000 to 5,000 words. In order to manage the high-volume project, our team carried out a full content audit of the main site. This allowed us to establish comprehensive glossary sheets for keywords and to set up translation memory templates – improving cost and time efficiencies. Our project managers provided translated copy back to the client for their internal teams to update. Our copywriting teams then proof-read all updated webpages to ensure 100% accuracy. The client was delighted with the results and extended the project’s scope to cover translation of in-park content, including interactive and gaming functions, as well as voiceover and subtitling of educational video content.